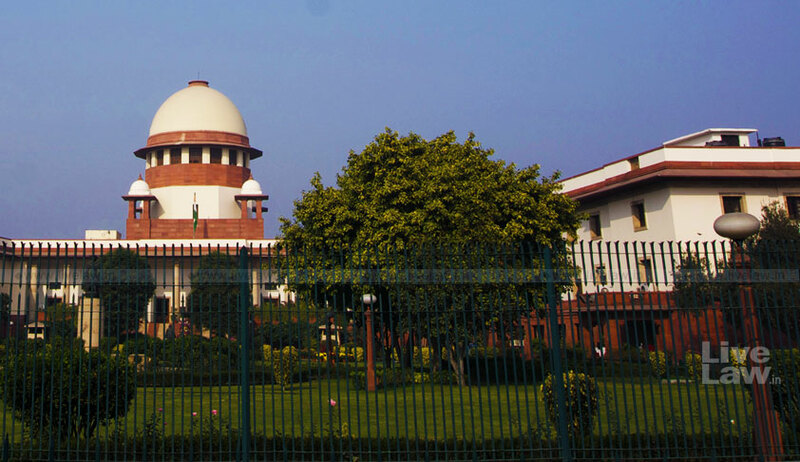 With the Supreme Court all set to consider on Monday whether a Constitution Bench should probe the grant of special status to Jammu and Kashmir in 1954, the State has filed an affidavit demanding dismissal of the petition and questioning the bona fides of the petitioner NGO, We the citizens. Ahead of Monday’s hearing, the State’s affidavit asserts that the issues raised by the petition are no longer res integra, as they have been adjudicated upon on at least two separate occasions by two Constitution Benches in the cases of Puranlal Lakhanpal v. President of India & Ors. and Sampat Prakash v. State of Jammu and Kashmir and Anr. “…since Article 370, as enacted and amended remained in the Constitution of India, as an integral part thereof and since the Presidential Order of 1954 i.e. Constitution (Application to Jammu and Kashmir) Order, 1954, has been recognised and acted on, as valid, ever since its promulgation and when challenged, the challenge has stood rejected by the two Constitution Benches of this Hon’ble Court,” it submits. The Affidavit settled by Senior Advocate Fali S Nariman further contends that the challenge to the validity of the Constitutional provision is hit by extraordinary delay and latches, since the order came into force on 14 May, 1954. Pointing out that the petition has been filed after a delay of more than 60 years, it submits that the petition seeks to “upset settled law, accepted and complied with by all”. The State also questions the bona fides of the petitioner, claiming that it is a “busybody, a meddlesome interloper, who has filed the instant petition seeking publicity”. Furthermore, it alleges that the petitioner has deliberately omitted to notice the impact of the proviso to Article 368 (2) of the Constitution of India, which states that no Constitutional amendment by the Parliament under Article 368 would have effect in relation to the State of Jammu and Kashmir, “unless applied by order of the President under Clause-1 of Article 370”. The proviso, it points out, has not been challenged in the present proceedings. It is on these grounds that the State demands dismissal of the petition. The State of Jammu and Kashmir was granted special status by incorporating Article 35A in the Constitution by an order of President Rajendra Prasad in 1954 on the advice of the Jawaharlal Nehru Cabinet. The provision gives the State Legislature a carte blanche to decide the ‘permanent residents’ of the State and grant them special rights and privileges in State public sector jobs, acquisition of property within the State, scholarships and other public aid and welfare programmes. Article 35A further saves such acts of the State Legislature from being challenged for violation of the Indian Constitution or any other law of the land. However, the Parliament was not consulted when the provision was incorporated into the Constitution through a Presidential Order issued under Article 370. The NGO We The Citizens, along with a few others, now challenges the validity of Articles 35A, arguing that it is against the “very spirit of oneness of India” as it creates a “class within a class of Indian citizens”. They further assert that barring citizens from other States from getting employment or buying property within Jammu and Kashmir is a violation of fundamental rights guaranteed under Articles 14, 19 and 21 of the Indian Constitution. Therefore, the question essentially posed before the Supreme Court is whether the President acted outside the purview of his powers and whether Article 35A should be struck down as invalid because the Nehru government did not place it before the Parliament for discussion. A three-judge bench headed by Chief Justice of India Dipak Misra is set to decide on Monday whether these questions should be referred to a Constitution Bench of the Apex Court. Meanwhile, sources were also quoted as claiming that there could be a "revolt" in the police ranks and massive unrest in Jammu and Kashmir if the Supreme Court passes an "adverse" order on Article 35A of the Constitution on Monday. Sensing trouble, the State Government has reportedly also requested the Supreme Court to delay the case till local body and panchayat elections due in October.